Thousands of Canadian seniors are leaving money on the table by ignoring the Guaranteed Income Supplement. Can this little-understood federal benefit help you fund your retirement? When Erica Stewart turns 65 in October, she expects to start collecting the Guaranteed Income Supplement (GIS). But Stewart (whose name we’ve changed) has found it’s tough to figure out the federal government program for seniors of modest means. “It’s good to have it, but it is so tricky. It’s too hard for the average person to understand,” says Stewart, an administrative assistant in Toronto who has no employer pension and a nest egg of $170,000. Fortunately, we can help. We’ve delved into the details and talked to experts who understand the complexities of GIS. Read on as we describe how it works, help you determine whether you’re eligible, and share strategies to make the most of it. The gist of GIS. The basic idea of the Guaranteed Income Supplement is pretty simple: the less income you have as a senior, the more GIS you get. If you have no other income, GIS maxes out at $8,788 for a single person, and at $11,655 for a couple. You give up around 50 cents in GIS for every $1 of other income. So you can have pretty significant assets—such as a paid-off home and a large investment portfolio—and still qualify for GIS, as long as you don’t generate a lot of income. More than 1.6 million Canadians collect GIS, but the government estimates that another 200,000 are eligible, but haven’t applied. Thousands more could undoubtedly become eligible if they adopt more GIS-savvy strategies. But while GIS is simple in concept, it is exceedingly complicated in practice. How GIS counts income is complex and peculiar, and even figuring out if you’re eligible is no easy task. Then to make the most of GIS, you need to adopt strategies that are often contrary to conventional financial advice. “GIS does take some creative strategizing,” says Ross McShane, director of financial planning at McLarty and Co. Wealth Management in Ottawa. None of these strategies is more important than figuring out a smart way to draw down your RRSPs and RRIFs. Unloading RRSPs and RRIFs. Many GIS recipients like Erica have significant amounts in RRSPs and RRIFs. Remember, when you withdraw from these accounts, you must report the amounts as income. And if you draw down your RRSP or RRIF unwisely, it can cost you 50 cents of GIS for every $1 of withdrawal—a 50% clawback. As a result, you’re often best off unloading your RRSP or RRIF in a short concentrated period. That’s pretty much the opposite of what we generally recommend for more affluent retirees. 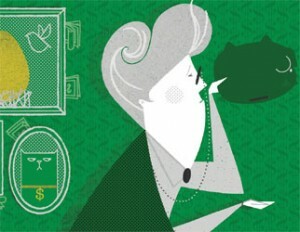 (See How to tap your RRSP). Of course, you need to factor in the extra income tax you’ll pay on the larger withdrawal, but if you have a modest income from other sources and you don’t try to unload too much in one year, the 12½ cents plus your marginal tax rate is likely to be significantly lower than the 50% clawback. Just when and how should you unload your RRSPs to maximize GIS? There are at least three different approaches, and the details will depend on your circumstances. The first approach often works if you retire early. The idea is to withdraw all of your RRSP savings well before you turn 65 so the income doesn’t affect your GIS eligibility at all. But for that to work, you have to do it early enough, because there’s a lag in how GIS benefits are calculated. Income from 2011 determines GIS benefits from July 1, 2012 to June 30, 2013. So Erica would have needed to empty her RRSP no later than December 2010 (when she was still 63) to avoid impacting GIS benefits for at least eight months after she turns 65 in October 2012. A second approach, suggested by Malcolm Hamilton, is to alternate years when you withdraw from RRSPs with years where you don’t, up until age 72. For example, if you need $10,000 annually, you might withdraw $20,000 every other year. This technique might allow you to earn some GIS in alternate years (although you will probably pay a bit more tax). It makes the most sense for people who have all of their savings in RRSPs. A third approach is to leave your RRSP untouched until age 72, and then unwind it over a short period. This will likely work well if your RRSP is relatively modest (such as Erica’s $58,000 portfolio). You will also need a substantial amount in non-registered accounts and Tax-Free Savings Accounts (TFSAs) to tide you over until age 72. Here a big part of the benefit is just putting off those nasty GIS clawbacks as long as possible: that is, until age 72, when the government requires you to make minimum withdrawals from registered accounts. At that point, unloading your registered accounts quickly will cause you to lose GIS for only a short period before you get back to collecting as much of the benefit as you can. If Erica’s RRSP is worth $58,000 when she turns 72, it probably makes sense for her to withdraw it over two years (half each year). In each of those years, she’d lose the $4,700 GIS she would otherwise have received, and she would pay an estimated $6,240 in taxes, for a total of almost $22,000 over two years. But if she dribbled out the same $58,000 a little bit each year, it could cost her about 50 cents of GIS for each $1 withdrawal, for a total cost of $29,000 (albeit spread over many years). Playing the GIS game. In theory, it’s possible for “middle middle-class” Canadians to benefit from GIS—as Hamilton notes, “you can game it.” After all, the criteria for GIS is based on income not assets. So seniors who are moderately wealthy might collect some GIS, provided that what they own doesn’t generate a lot of income (and they don’t get much from other sources like an employer pension plan). I considered a number of scenarios and found two approaches that might work for a senior of average wealth. The first thing you can do is own your home mortgage-free. As a homeowner, you’ll need less GIS-destroying income to support yourself compared with those who rent an equivalent home. If you have financial assets and income similar to Erica (who is a renter), you’ll spend less on accommodation and more on your lifestyle. Another strategy that might work if you start young is putting all your savings into TFSAs and avoiding RRSPs. A couple who maximized TFSAs over a long career would have a very attractive nest egg, yet when they turn 65, none of the withdrawals would count against them for GIS. (Unlike RRSP withdrawals, money taken from a TFSA is not counted as income and is not subject to tax, because contributions were made with after-tax dollars.) But a warning here: both Hamilton and McShane doubt this loophole will be around for long. “The government doesn’t want to pay GIS to people with average income, so the rules could eventually be very different than those you’re facing today,” says Hamilton. David Aston, CFA, CMA, MA, writes about personal finance. If you’d like to share your retirement spending experiences, write him at [email protected] He might include your experience in a future article.